Anyone who is familiar with Frictional Games knows what to expect when it comes to their games. From Penumbra to Amnesia: The Dark Descent, these titles have stuck to the survival horror genre where players must progress through levels and complete certain tasks while under constant threat of death as the player cannot fight off the monsters with which they come in contact. The only option is to run, hide and wait for the creature to lose sight before continuing forward. 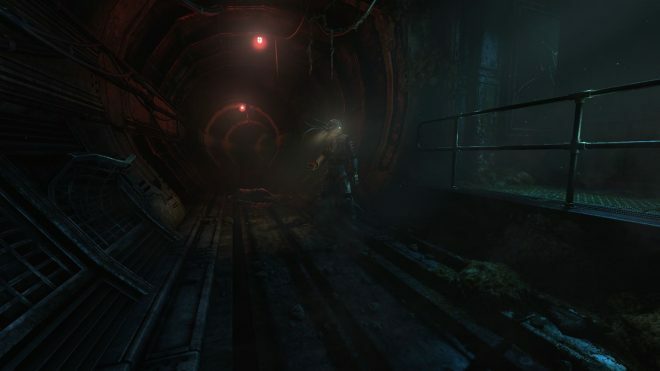 This same formula comes to light in Frictional Games most recent title SOMA; a science fiction horror game that looks to bring survival horror to a more futuristic setting. Does the new theme show polish or does it cast itself into darkness? You play as Simon Jarrett, a man suffering from nightmares of a terrible car accident months ago that took the life of his girlfriend and left his brain severely damaged. A would-be doctor calls and inquires as to Simon’s whereabouts for his brain scan, a small step towards a procedure which aims to correct the issues Simon has had to help bring back a healthy life. Upon arrival, you walk into a dark office with no occupancy. After having to let yourself into the back rooms, you meet the man performing the procedure, who sits you down inside a strange looking machine capable of performing the scan. After some time, you come out of the machine, but suddenly you find yourself somewhere else entirely. What is this place and how did you get here? Are you alone? Only you can push forward and uncover the mystery. 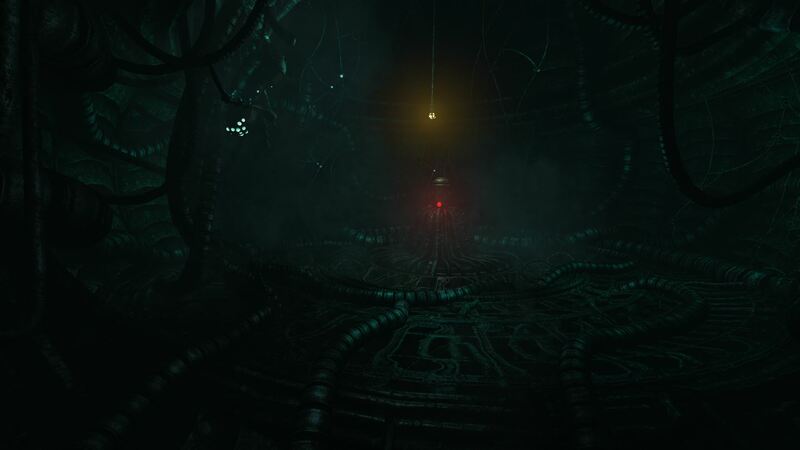 Atmospheric – The strongest aspect of SOMA comes directly from its atmosphere. From the beginning, the game starts with a peaceful and heartwarming feeling from the player’s apartment in Toronto. As the game progresses, this feeling wears off rather quickly, but the sounds and ambiance of each and every level you visit leave you uneasy and hesitant to push forward. The atmosphere gets so strong to the point where I found myself not wanting to move due to a sound I was hearing, or an enemy that was nearby. The game definitely leaves you terrified the further down the rabbit hole you go. The true way to experience it (which is how I did) is to play in a dark room with headphones on and volume turned up. Extra underwear optional. 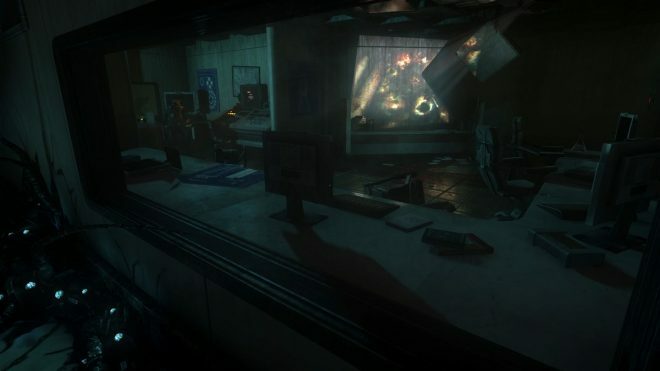 Side Story – The way that the story starts as to how it progresses as you move along in SOMA changes. The original plot seems like it starts to become lost and you’re only focusing on the here and now. Frictional Games have added answers to the original plot in the form of computer emails and voice logs that give players a better understanding of what once was and what is now. This concept also really adds to exploration, as it gives players a reason to visit rooms that would otherwise be pointless to even mess with. 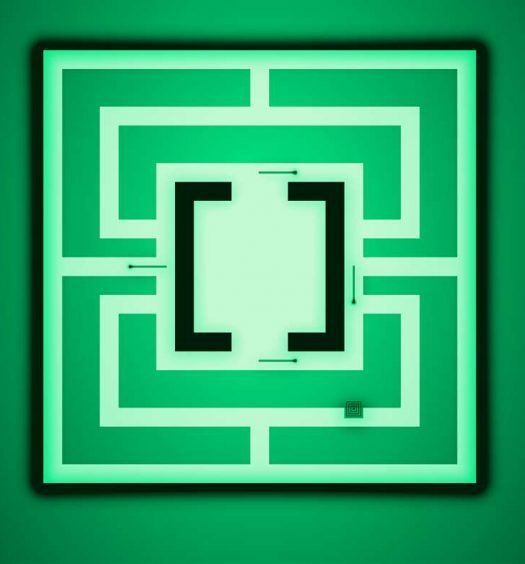 While some rooms arguably made it harder to complete the main goal, it was worth It in the end in my opinion, as it answered the questions that would have otherwise been left unanswered. Some optional content even leaves the player to make their own assumption on past, present and future events which really broaden the experience further. The Task at Hand – SOMA is a game with a story that pulled me in. I found myself so interested that I became worried that I would eventually come to a point where the game would cause a major disconnect from the story due to an overly complicated puzzle or task. Luckily though, the tasks you are asked to complete aren’t overly complicated. Some will have you lugging different items from place to place, or activating switches in a particular order, but thankfully solutions are laid out in documents on computers or in voice logs. The only real difficult tasks come at times when you’re asked to lug a certain object somewhere while trying to avoid a monster at the same time. Talkative – For a large majority of the game you’re spent completing a variety of tasks with only yourself and creepy monsters to keep you company. On your way through the game, you meet other characters who talk your ear off. It was at this point I found myself not able to focus on the atmosphere and I felt was starting to kill the vibe that the game had given so gracefully beforehand. Thankfully these characters are only present when monsters are not present and immediately after, the game set itself back into the creepy setting that I loved and enjoyed. One specific character towards the end of the game I really felt should never have been introduced nor been present in the title at all as they seemed unfitting to the rest of the game. Saved – The health system in SOMA is far too forgiving when compared to previous games by the same developer. 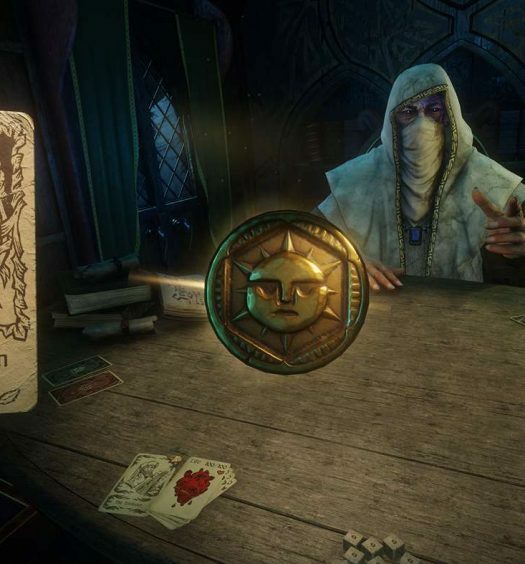 In Amnesia: The Dark Descent, for example, you were allowed two hits from an enemy, the first being a severe blow and the second being certain death. In almost all instances if you were hit once you were sure to get hit again, unless the monster you were running from happened to get stuck on a wall or behind a door. In SOMA the two hit KO system is still present, only this time around the game saves you if you’re hit the first time. If you happen to run into an enemy and they make contact with you, they damage you, and you are then teleported back to the beginning of the area. You can make your way to a health station to heal up, or attempt to sneak past the monster a second time with the risk of death if you’re caught again. Furthermore, the number of health stations scattered around the game are far higher than the enemies that you will come across while playing. What gives? Safe Mode – When I first heard about this feature coming into the Xbox version of the game, it bothered me, and after trying it upon completing my initial play through the game I can honestly say that safe mode was a terrible feature to add. For those who may not know, Safe Mode is a new mode added into SOMA that allows players to play through the game without the threat of monsters harming them. What this equates to is a watered-down version of the game that kills the overall atmospheric vibe of the game. Reason being, if a player knows they have nothing to fear, then all the creepy ambiance is for nothing. Good thing though, it’s entirely optional, and I would definitely recommend playing the game in its original state for a far better experience. Frictional Games delivers on yet another horror game that leaves us at the edge of our seat and quivering in fear. Even in a new science fiction setting, SOMA still brings to the table the exacting polish that its predecessors have in the past. If Survival horror is the game for you, or if you’re just looking for a game to test your bravery, this is exactly what you’re looking for. If you’re still confused about the game, just think Dead Space in a Bioshock setting without all the fancy weaponry, but with all the fantastic atmosphere. You’re welcome. 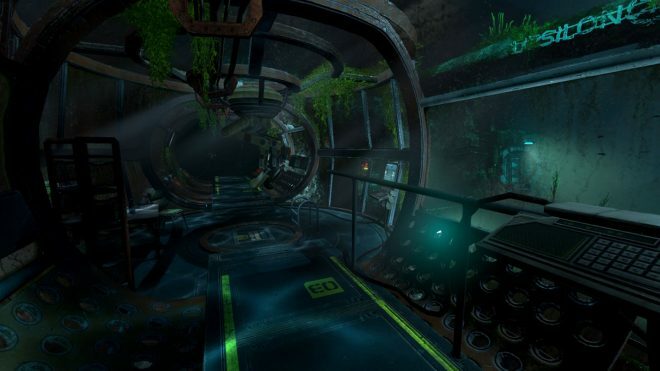 SOMA is developed and published by Frictional Games. It was released on November 30, 2017, for $29.99. A copy of the game was provided for review purposes.